During a lull in the proceedings of the Malolos Congress, President Aguinaldo planted a tree in front of the convent of the Malolos Cathedral (he must have been really bored that time or maybe not). The Malolos Cathedral served as his office during the Revolutionary Government. The historical Siar Tree is now known as the Kalayaan Tree. 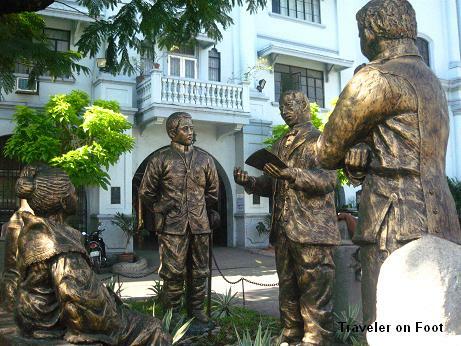 Beneath the shade of the tree is a monument that depicts the meeting of Filipino revolutionaries represented by Generals Gregorio del Pilar and Isidoro Torres, the legislator Don Pablo Tecson, a nationalist leader of the Church Padre Mariano Sevilla and a woman freedom fighter Doña Basilia Tantoco. anong uri po nang puno ang Siar Tree?? ?